Every culture has its own traditions and legends centered around the holiday season. And Italy is no different. On the night of January 5th, better known as Epiphany Eve, La Befana delivers gifts and candy to good children throughout Italy in a similar way to St. Nicholas or Santa Claus. And bad children? Well, they get a lump of coal or dark candy. Sound familiar? La Befana also enters the home in a very Santa-esque way: through the chimney. But instead of milk and cookies, this holiday gift giver prefers a glass of wine and a few morsels of food. Translated, the above poem reads “The Befana comes at night / In worn out shoes / Dressed like a Roman / Long live the Befana!” La Befana is often depicted as an old lady riding a broomstick, covered in soot and wearing a black shawl. La Befana lived alone in a house in the hills of Italy, spending her days cooking and cleaning. One night she noticed a bright light in the sky. After some thought, La Befana decided to ignore the light and go back to work. A few days later, caravan led by Three Wise Men stopped at La Befana’s house to ask for directions to Bethlehem and invited her to come with them to visit the Baby Jesus. Unfortunately, La Befana had no idea where Bethlehem was and politely declined the Wise Men’s offer. After the caravan had left, La Befana was overcome with an urge to travel to Bethlehem and meet this baby herself. So she packed a bag with baked goods and gifts for the newborn child, grabbed her broom (the new mother would certainly need help cleaning), and set out to Bethlehem. Unfortunately, La Befana soon found herself lost. Just as La Befana began to lose hope, angels appeared to her and gave her the gift of flight. So La Befana took off and searched and searched for the Baby Jesus, but she was unable to find him. In fact, she is still searching to this day. 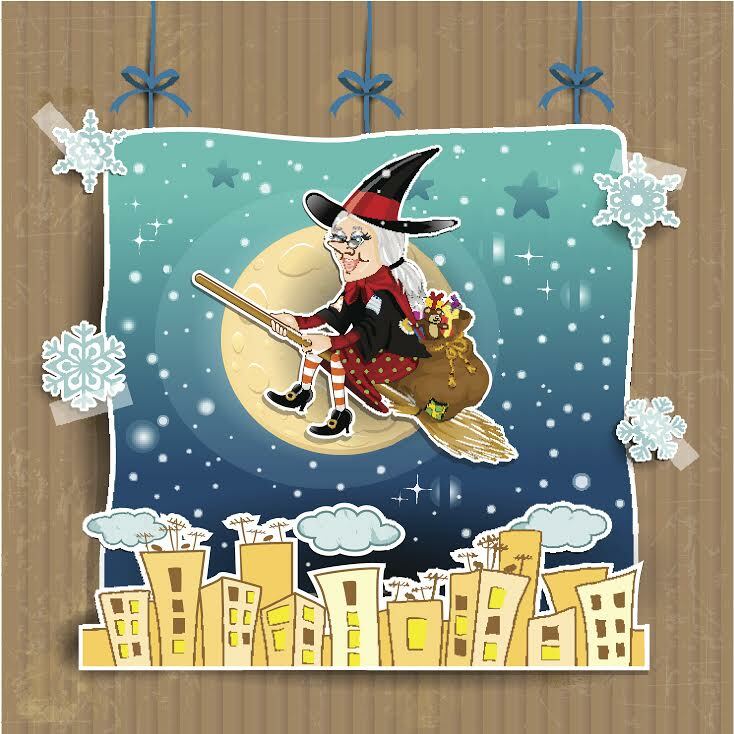 And every Epiphany Eve La Befana takes flight to search for the Baby Jesus, visiting homes throughout Italy and giving gifts to every child she finds along the way. For La Befana has come to realize that the Christ Child can be found in all children, so her search is not in vain. AESU, the most trusted name in travel, offers unique, exciting travel programs for college students and young professionals at affordable rates. Each trip is action-packed and informal—designed just for people your own age. We offer several trips to Italy, including Cosmopolitan, Explorer, Euro Focus, Great Escape, Euro Spree, and obviously Viva Italia. We are also able to design custom tours just for your group. While we can’t promise you will find La Befana flying the skies on her broom, we can promise that you will have a great time exploring the sights and sounds of Italy. Want help booking an Affordable Italian Vacation? Please contact AESU by calling 800-638-7640 or fill out the contact form found on our website. And don’t forget to check out all of our great Travel Tips, especially the Travel Tips for Europe, before you head overseas. This entry was posted on Thursday, December 18th, 2014	at 4:19 pm	. You can follow any responses to this entry through the RSS 2.0	feed. Both comments and pings are currently closed.